What's on Netflix > Netflix News > Are the Pirates of the Caribbean Movies on Netflix? Are the Pirates of the Caribbean Movies on Netflix? Disney’s biggest live-action franchise is back in 2017 with Johnny Depp’s fifth outing as Captain Jack Sparrow in Dead Men Tell No Tales. While the new movie is definitely coming to Netflix before you head out to the cinemas or indeed watch on Netflix, you’ll probably want to know whether the previous four movies are available on Netflix. Let’s take a look. Just for a recap of the movie series so far. It mainly follows Captain Jack Sparrow, a pirate with an appetite for rum who always manages to find himself in deep trouble with supernatural beings. It’s one of the most beloved Disney franchises of all time and is expected to have several more movies produced over the next decade. Below, we’ll cover each movie individually and where they’re streaming on Netflix. The first movie released in 2003 (that’s nearly 15 years ago!) is still many of the fans favorite entry and luckily it’s streaming in quite a few regions. The United States, Canada, and the Netherlands all carry the first movie. The first Pirates movie that introduced us to Davy Jones played by the excellent Bill Nighy released in 2006. The second entry can be found once again in Canada and the Netherlands, however, is vacant from Netflix US. 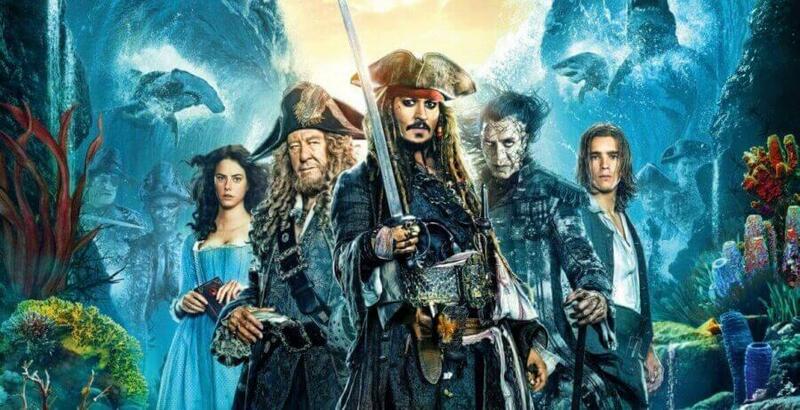 With Captain Jack captured, it’s up to Captain Barbossa, Will and Elizabeth to head out and rescue him. It’s once again only available on Netflix in Canada and the Netherlands. On the search for the fountain of youth, Captain Jack Sparrow once again gets mixed up with the wrong crowd. The latest movie is available once again in Canada and the Netherlands. In addition to those regions, it’s also available in South American countries such as Argentina, Brazil, Colombia and Mexico. So there’s an up-to-date guide as to where you can stream Pirates of the Caribbean on Netflix.